Kaleidoscope of Colors: I'm Back!! And Mr.KofColors is FAMOUS!! I'm Back!! And Mr.KofColors is FAMOUS!! Oh Boy!! It has been awhile....But I am back and ready to start blogging again. My sincere apologies, after being away it made me realize how much I enjoy doing this. We took Mom to Paradise Cove in Malibu, CA before she went back home to Dad. My MOM came and took care of me just in time. Mr. KofColors was working out of town and it was such a blessing to have her here. Nothing like her support, love, and cooking *especially the never ending chocolate chip cookies. Lance (Mr.KofColors) taking my Mom out for a ride in the boat. Other fantastic news while I was absent. 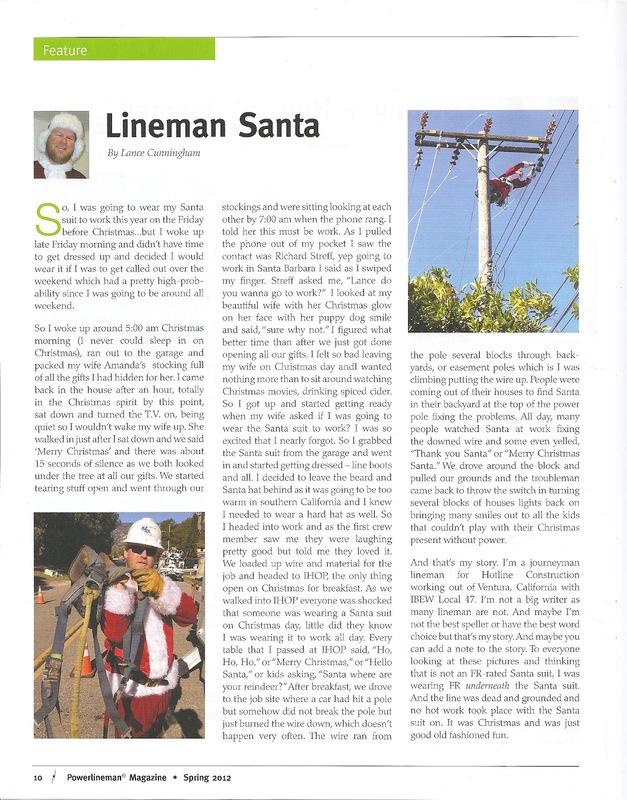 Mr. KofColors story of "Lineman Santa" was published in Powerlineman Magazine this last month. 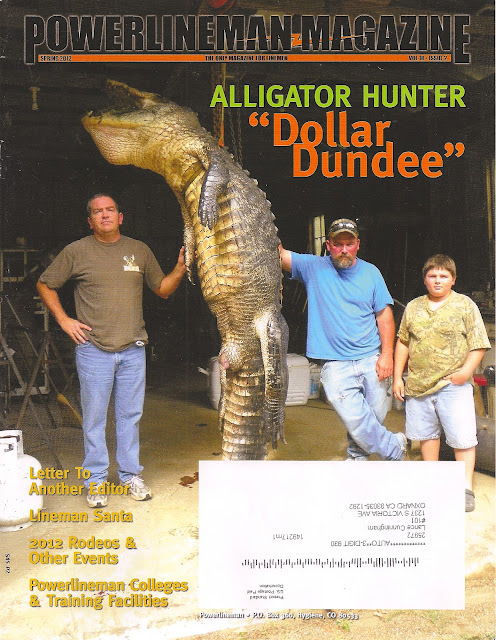 Such a proud moment for me to have my husband's great story published in such a great magazine. Another online Lineman website has emailed him to have his story published in their newsletter. SO COOL! Front cover of the magazine. Story is below...He wrote the story himself. Please enjoy! Oh, and though we've been in touch several times since your surgery, I'm so glad to see you posting again! :) I'm glad you're feeling better - I'm sure your mom's TLC helped speed your recovery! Thanks so much Melody!! Follow up appointment tomorrow, hoping to get the okay to start running again. After blogging...I really missed running.